The meeting was chaired by Union Minister of Railways, Coal, Finance and Corporate Affairs Piyush Goyal. 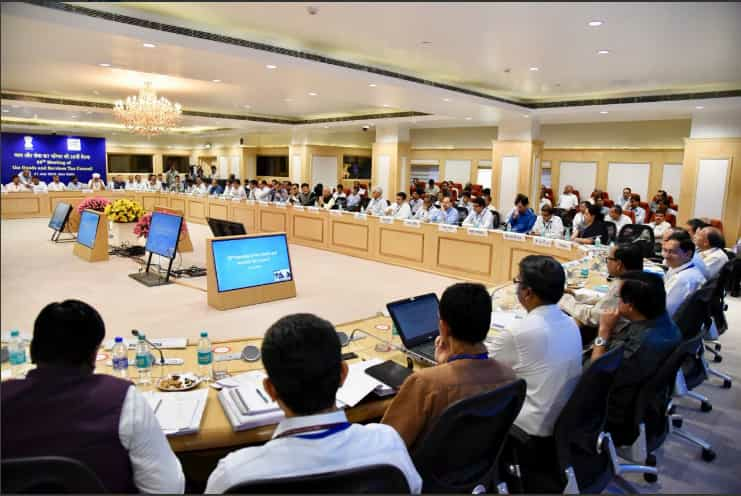 The 28th meeting of the GST Council was held today in New Delhi, under which once again the 21-member committee has brought in revision to a list of items under Goods and Services Tax (GST) regime. This time women and air conditioner makers have seen big relief. In the meeting it is being known that, somewhat 30 products were discussed so far. The meeting was chaired by Union Minister of Railways, Coal, Finance and Corporate Affairs Piyush Goyal. 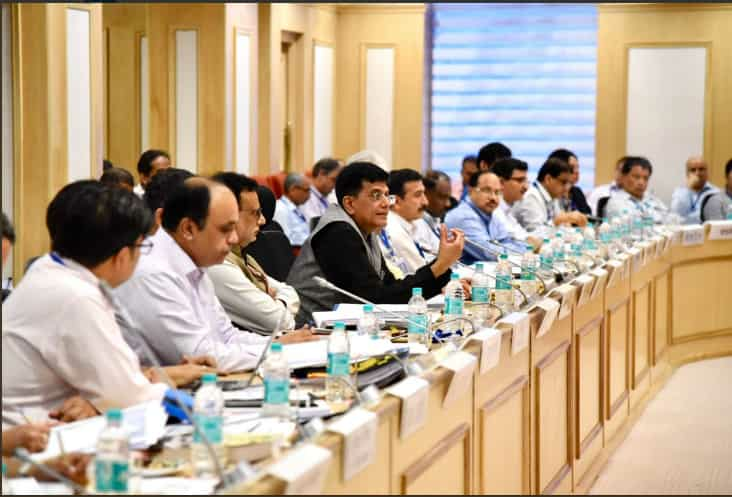 Goyal tweeted saying that, at the 28th Meeting of Goods & Services Tax Council, discussed how GST, as an embodiment of cooperative federalism, has brought transparency & honesty, and its implementation benefits 125 crore Indians as it has brought a reduction in prices of products & services. 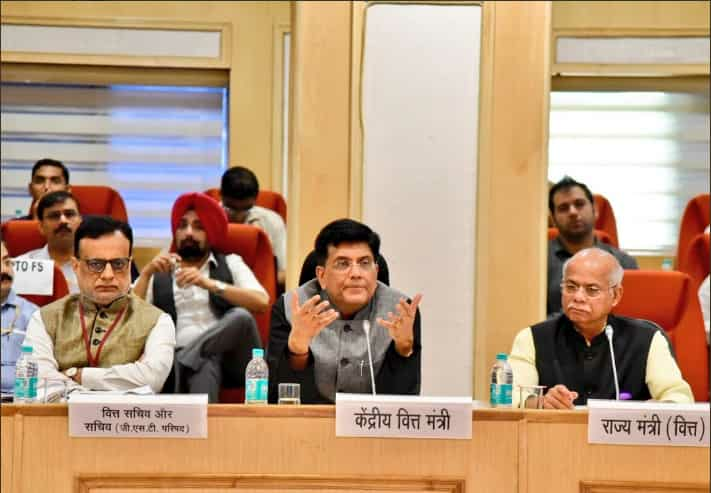 “GST will bring in transparency & honesty in the system.He concluded that better compliance & honest implementation of GST tax structure would benefit people at large as they will get various goods & services at cheaper rates,” said Goyal. He even thanked the States/UTs Governments for rising above the politics and extending their whole hearted support in the implementation of GST in public interest. Coming back to items under GST, sources told CNBC TV18 that, the council approved 46 changes in laws. Further, the Delhi Finance Minister Manish Sisodia told the news agency, that sanitary napkins have been exempted from GST bringing in relief to women. Sisodia also highlighted that no decision on sugar cess, only a report has been submitted. The next meeting on sugar cess will take place in Kerala. Also he brought to notice that, the center unilaterally transferred Rs 1.61 lakh crore of IGST in the kitty. Going ahead, Maharashtra FM Sudhir Mungantiwar told media, that over 30 products under GST have been discussed. He mentioned that sanitary napkins are exempted, while bamboo will come under 12% GST slab. On sanitary napkins, Pratik Jain, PwC told CNBC TV18 that, there would be an input credit loss on sanitary napkins & hence the impact won’t be so much. Sanitary napkins were not alone to see relief under GST, it is also being known that GST council has now allowed hoteliers to tax consumers on actual tariffs & not 'declared tariffs'. This comes as a relief to hospitality industry. The council also lowered the tax on ethanol for oil companies. Now this product will be taxed at 5% under GST from their previous 18%. Also, GST rate for paint and varnishes were cut to 18% from higher tax slab of 28% under the regime. Not only this, the rate for refrigerators, freezers, trailers, semi-trailers and ACs were brought down to 18% from the previous 28% GST tax slab. Leather items have also seen reduction in their GST rate from 28% to 18%. Also footwear until Rs 1000 per unit will now be taxed at 5%. Even GST rates for televisions up to 68cm and video games will be levied at 18% from their previous 28%. West Bengal FM Amit Mitra lauds the government’s decision to slash GST rates on multiple items. 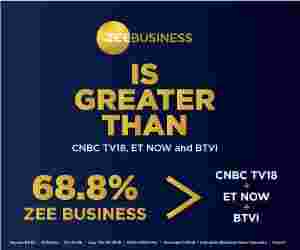 He told CNBC TV18 that, it is a huge positive for the industry and collection revenue will rise going ahead. According to Mitra, rates on 17 items out of 49 items from the agenda may be brought down from 28%. He has even guided the council, about bringing high-luxury and sin goods under 28%.